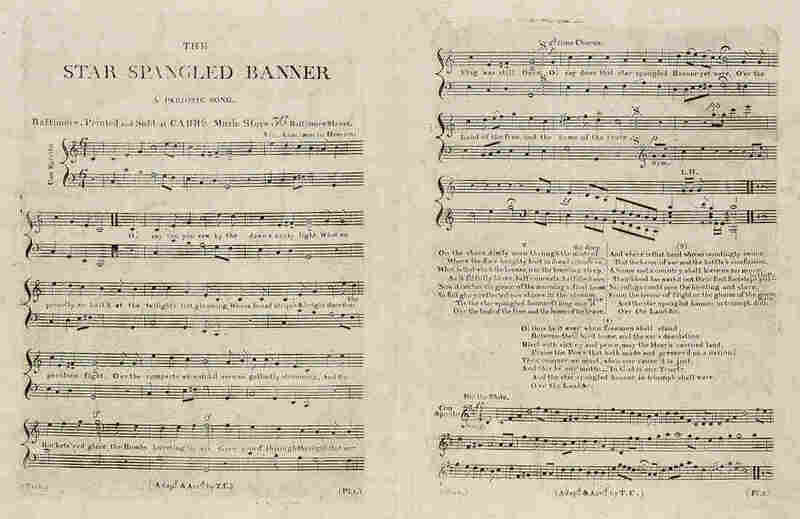 Celebrating A Star-Spangled Anthem ... That's Really Hard To Sing It's been nearly 200 years since Francis Scott Key wrote the words of "The Star-Spangled Banner" in 1814. Set to the melody of a popular English tune, America's anthem spans one and a half octaves. 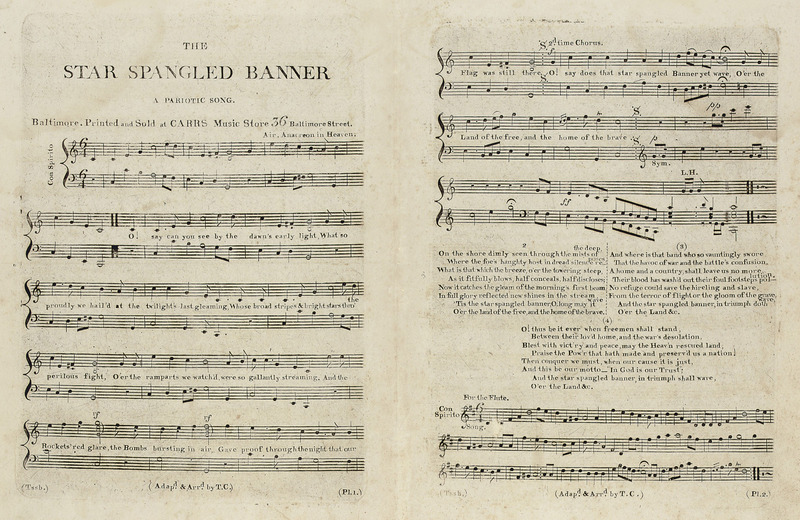 "The Star-Spangled Banner" spans one and a half octaves. Above, Samu Manoa, Scott Lavalla and Cameron Dolan of the USA Eagles sing the anthem before the opening qualifying match of the 2015 Rugby World Cup. It's been nearly 200 years since Francis Scott Key wrote the words of "The Star-Spangled Banner" as he watched America's flag fly over Fort McHenry during the war of 1812. Set to the melody of a popular English tune, it officially became the national anthem in 1931. Plenty of people declined, but a few brave souls stepped up to the challenge. Click the play button above to hear from: Elizabeth Peppercorn, Sue Krantz, Lorraine Rogina, Elaine and Griffin Ferrara, Rebecca and Richard McAlpin, Ryan and Jordan Hurt, Natalie Beckford, Rian Gaskins, Kevin Amon, Georgie Bauer, Suzanne Kalfus, Allie Cohen, Rome Haskett, Adrian Matthews, Paul Young, Rashaha Jones and Sean Peacock.